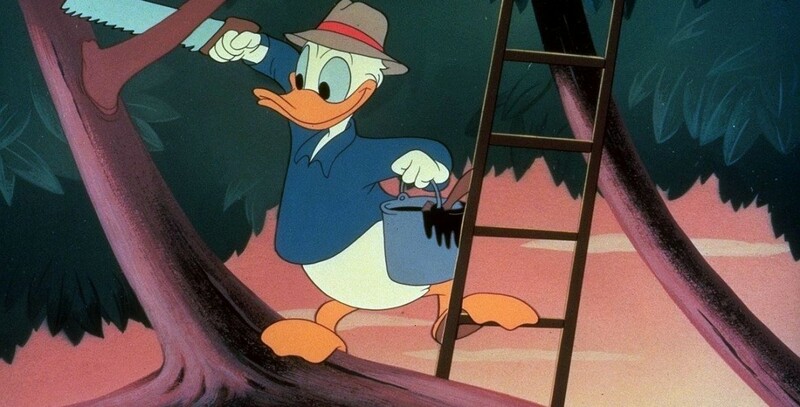 Out on a Limb (film) Donald Duck cartoon; released on December 15, 1950. Directed by Jack Hannah. In his work as a tree surgeon, Donald discovers the tree home of Chip and Dale and harasses them with a tree pruner they believe to be a monster. They soon realize their error and have the frustrated Donald venting his temper.